Traditionally, bookkeeping has been done on a piece of desktop software that is loaded independently on one computer. However, business and technology have changed, so why shouldn’t your bookkeeping software? The new era of bookkeeping takes place virtually – on the Cloud. Learn the advantages for you as a business owner here. Why Do You Only Support QuickBooks Online? You’ve probably heard of QuickBooks, but what you might not know is that in the past two years it has become the fastest growing accounting software of choice for Canadian Small Businesses and here are some of the reasons why it could be the best fit for your business. What applications and Addon tools are you familiar with? As our industry is changing at a rapid pace, the introduction of 3rd Party Apps that integrate with QuickBooks Online are being launched fast and furious. Never would we recommend the use of an App without testing it out thoroughly ourselves first. Check out our preferred app partner list here. What can Real Time Financials Do for my Business? When is the last time that your business financials helped you make a business decision? If you are like far too many small business owners, the answer is probably never. You would get your Profit and Loss from your bookkeeper sometimes 30 days after the month was over or maybe you only ever saw your financials when you sat down with your accountant once a year. So let’s change that. Let’s put the power of those numbers into your hands now. That’s what Real-Time Financials are. Here’s a small sampling of how Real-Time Financials can impact your business. What the Heck is an App and Why Do I Need One? In the past, the accounting software for a small business owner was a stand-alone product. If you wanted to get some information into the software, you manually had to enter it. But, not any longer. In today’s world of accounting and QuickBooks, the power of QuickBooks Online are the Apps that connect to it. And you can learn more about what the apps can do for you here. In Canada, there is currently no government mandated certification process for bookkeepers. For most small business owners that is a complete surprise. Your hairdresser needs to have a license, but not the person that is responsible for the financial record keeping of your business. 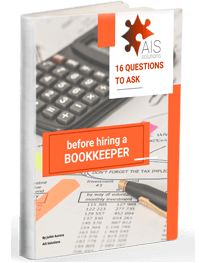 To learn more about how to choose the right bookkeeper for your business visit this page here. My Books Are A Mess - Can You Help? Absolutely! That’s what we do. Most business owners didn’t start their company so they could do bookkeeping, but we did! It doesn’t matter where you are in your financial journey, at the beginning, really far behind, or not sure what happened but you’ve got a mess on your hands. We can help. You can learn more about working with us here. So, reach out today so that you can focus on why YOU went into business. AIS Solutions has been providing bookkeeping and accounting services to small and medium-sized businesses all across Canada for almost 20 years. During that time we have grown and developed expertise to allow us to serve an extensive range of industries which you can learn more about here. Can You Help Me With My Year End? Of course. If you need to get your books back on track, and don’t want to be at the same place next year, then let us help you. We will get you caught up, create a year-end package for your accountant, field the majority of the questions that they may ask, and keep it all running smoothly for you throughout the year. You can learn more here. Do You Offer Part-Time Controller Services? Thank you for your interest in our Part-Time CFO services. We work with a small number of businesses and at this time we are not accepting any new Part-Time CFO clients. We recognize that many businesses need the advice and support of a financial professional from time to time without the desire of incurring the expense of a full-time CFO or Controller. At AIS Solutions we have the knowledge and experience to help you fill that void. You can learn more about our services here. Can You Help Me With Budgeting and Cash Flow Forecasting? We have expertise in designing customized reporting and setting up processes and systems to help you better manage your budget and cash flow projections, or control your expenses, or meet those important KPI’s. To learn more visit here. Can You Help Me With Job Costing? In any industry, knowing your costs is important. But if your business is involved in the costing of jobs or projects then you recognize that knowing or not knowing your costs is the difference between success and almost certain failure. We can help. Learn more here. I am a Wholesale Distribution Company - How Can You Help Me? Read this Case Study of how we helped this growing wholesale distribution company gain control of their business by helping them get the right information at the right time from their QuickBooks software. I am a Single Location Retailer - How Can You Help Me? Read this Case Study of how we helped this single location retailer setup new internal processes as well as establishing a system of accurate recordkeeping to ensure that all CRA remittances were filed correctly and on time. I am a Manufacturer - How Can You Help Me? Read this Case Study of how we helped the owner of a local manufacturing firm fulfill his dream of expanding his market by taking over and streamlining his entire bookkeeping processes so he could focus his time on growing the business. I am an e-Commerce Business - How Can You Help Me? Read this Case Study of how we helped this rapidly growing multi-channel e-Commerce business re-design their bookkeeping system so they could keep up with the expanding sales volume and know that their financial reporting was accurate. I am a Contractor - How Can You Help Me? Read this Case Study of how we helped this custom home builder re-design his job costing and quoting process by breaking each job down to 35 phases. Once implemented they were able to easily identify the profitability of each phase of the job and adjust accordingly. I am a Speciality Retailer - How Can You Help Me? Read this Case Study of how we helped this specialty retailer reduce his bookkeeping costs by over 58% while at the same time improving the accuracy and timeliness of his monthly financial statements so he could better manage his business. You are just what I have been looking for. What are the next steps? How long does it take to get up and running with your services? 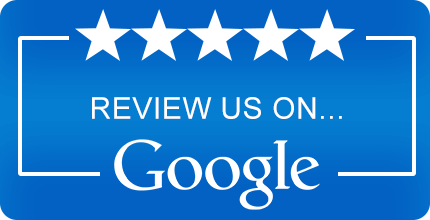 We try very hard to make our client experience the best that it can be. For that reason, we only bring on clients in a staggered timeline to ensure that we have the team resources that can be dedicated to working with you. In most cases, the timeline is 2 weeks from the time that you’ve said “Yes! Let’s Go!” to the kick-off meeting with our team. We will always let you know the timeline in our initial conversations with you. All of our pricing is flat fee. You will know before you ever get started with us as to what the monthly fee would be. There are no surprises. It doesn’t change every month regardless of whether it is an HST quarter, or year end. Our fees start at $695/month or $795/month if there is payroll. Check out our Getting Started page that walks you through our process to give you a firm price – Getting Started. As small business owners, we are all aware of the importance of managing our costs. There are many benefits to outsourcing your bookkeeping, including cost. For a complete list and cost-benefit analysis, you can read more here. We love startup businesses and want to help all small businesses succeed. However, if you are early in your entrepreneurial journey we are probably not the best fit for you. Our level of service makes the most sense for more established businesses who have already reached a basic level of success (typically $750,000 or more in annual revenue) and are ready to take their business to the next level. However, please contact us and we will be happy to provide references for you to some of our Bookkeeping colleagues that do awesome work and specialize in start-ups and newer businesses. Also, due to the very specialized nature of the bookkeeping process for “Not For Profits” we do not currently work with those types of wonderful organizations. Although we may not be able to help with your bookkeeping we can certainly help you with setting up your QuickBooks Online database and training so you are up and running with QBO as quickly as possible. You can find more details about our training here. What am I responsible for as the business owner? The honest answer is it depends. It depends upon which service package you choose in working with us. We have Hassle Free packages which require the least amount of involvement from you or your team. Sometimes relinquishing control is tough, so we do have packages where you or your team are much more involved. The main responsibility you will have is to get your information to us so that we can live up to our commitment of real time financial reports for you. We have a lot of options in how best to do that as well, so reach out to us if you want to chat further. Who will I be working with and who has access to my books? One of the great things about working with a Bookkeeping firm is the duplicate staff support. Although we are a team of 14, you don’t need to worry that you will be talking to a different person every time. Once the initial on boarding process is complete you will have a dedicated team of two of our Kninjas who will be your main point of contact. You also have the Team Leader, and one of our owners – Juliet, who are always available. We do not give access to your books to anyone outside of our team without your prior consent. The books are yours, so you are in control! Our QuickBooks training is never a one size fits all classroom format. It is always custom designed to meet your needs and to help you learn at your own speed. All training is done in your own QuickBooks database, one-on-one with our Advanced QuickBooks Pro-Advisor instructors. You can learn more about the details on this page. If you have more questions about working with us you can learn more about our process here or, if you would like to arrange a complimentary Discovery Call you can begin here.